The growing ubiquity of smartphones has changed how older people live and the advent of instant messaging apps has reshaped their communication methods. Stickers are arguably the most popular feature of LINE, an instant messaging app. 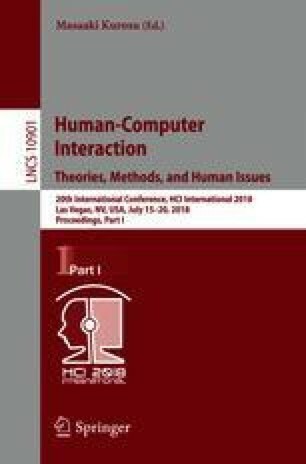 In this study, in-depth interviews were conducted with elderly users of instant messaging apps to explore the effects of the emotional meanings behind stickers on their social connections and level of understanding of the other party’s meaning in an online conversation. The findings suggested that using stickers improved the participants’ social connections, made them happier, and enhanced their involvement in LINE chats. Moreover, stickers with perceived positive and negative connotations enhanced the participants’ social connections; in this regard, no noticeable differences were observed between stickers with positive and negative connotations. However, the participants had difficultly accurately interpreting stickers featuring highly expressive facial expressions or diverse physical movements; some even found such stickers ambiguous and misunderstood the implied meanings. 1.Department of Product Innovation and EntrepreneurshipNational Taipei University of BusinessTaipeiR.O.C.